Drowning can happen in unlikely places, even when no swimming pool or natural body of water is nearby. For small children, hidden sources of standing water and even a brief amount of time unsupervised could be a dangerous combination. Drowning is the leading cause of injury-related death among children ages 1 to 4, and the second leading cause in children ages 1 to 14, after car accidents, according to the CDC. Though more than 50 percent of young children who drown are using swimming pools, many others simply come across small amounts of standing water in everyday settings around the house or yard. "Young kids, especially infants, can drown in as little as one inch of water. That's not a lot of water, really," Dr. Maribeth Chitkara, an associate professor of pediatrics at Stony Brook Children's Hospital in New York, told CBS News. "For the young children, it's actually, it's about half are from pools and the other half is 'other.'" The "other" can include a range of water sources: bathtubs, yes, but also play tables that use water, dog bowls, toilet bowls, simple buckets for cleaning, or even coolers. "You have a party and you have a cooler with some drinks in it. The ice melts when you leave the cooler open and there's an inch of water in the bottom of that," said Chitkara. "That's a cooler that you wouldn't even think of as being a drowning risk. Even if you have a lid closed, any innocent toddler could come, open it up and fall right in." Identifying the possible sources of water inside and outside the home can help families avoid drowning hazards. The United States Swim School Association (USSSA) recommends periodic safety audits of the home, room by room, with particular attention to bathrooms, kitchens and laundry rooms. The organization also recommends filling the bathtub with a normal amount of bathing water, then timing how long it takes to drain. That amount of time can serve as a guideline for how long parents need to supervise a child's time in the bathroom. Any regularly full receptacles for water like hot tubs, landscaping fountains, ponds or pools should be well-fenced or covered to prevent small children from accidentally falling in. "I think that any body of water has to be taken seriously," said Chitkara. "People who don't have pools sometimes don't think that they need to be as concerned." The act of drowning can happen fast and is usually silent, very unlike the flailing portrayed in movies. Even when it doesn't prove fatal, a near-drowning incident can carry a lifetime of consequences. 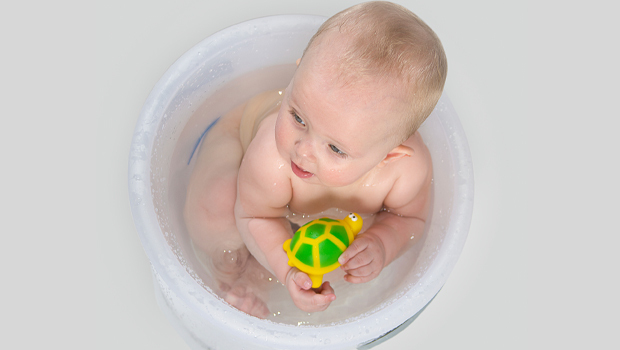 Children submerged in water for prolonged periods can have permanent brain damage. Drowning depletes the brain of oxygen and, depending on the child, it doesn't take long to cause serious harm. "I've had some children that are alive, but are not neurologically normal. Not able to eat or drink or talk and walk," said Chitkara. "Those would be the non-fatal drownings." For children resuscitated after a drowning incident, breathing can be difficult for some time afterwards. Hospitals generally keep them for 24 hours to monitor for something called pneumonitis, or inflammation of the lungs, also referred to as dry drowning. Doctors warn of "dry drowning"
"Usually it's within the first 24 hours after injury," said Chitkara. "You suffocate after the injury. They clear the water out and you seem to be doing just fine, but then six to 12 hours later, they have this secondary pneumonitis, which is basically an inflammatory response of the lung tissue to the water and the low oxygen that they have for that period of time." Raising parents' and families' awareness of the risks for drowning may be the most important precaution, whether children are near a pool or beach or just wandering around their own house or yard. "There's not any child safety measure that you can use that's better than a good set of eyes," said Chitkara. "If you have a child in the neighborhood of a body of water, they really need to be monitored. You should not walk away, not even for one second."